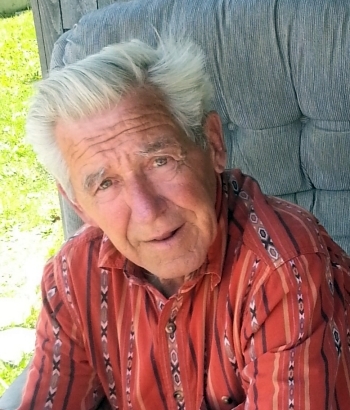 Connell, Dow & Deysenroth, Inc.Funeral Home: Harold J. Berry, Jr.
WESTVILLE – Harold John Berry, Jr., a business owner in Westville, died Wednesday afternoon, September 12, 2018, in his office at the stone yard. He was 76. Born October 16, 1941, at Montclair Community Hospital in Montclair, New Jersey, Harold was the son of Harold John and Helen (Pontus) Berry, living first in West Orange and later in Wayne, New Jersey. After graduating from Wayne Valley High School, Harold enlisted in the United States Army and served his country with Battery B, 7th Guided Missile Training Battalion. He later served in the Army National Guard of New Jersey until February 1965. In the 1960s he and his brother, William, owned and operated Berry Brothers, a trucking company in Wayne, New Jersey. At that time Harold also built stock cars and raced them at Middletown. He married Connie Kaist in Totowa, New Jersey, on November 22, 1967. In 1972, they moved to the Cooperstown area, and Harold opened H.J. Berry & Daughters Bulldozing, doing mostly farm work such as land clearing, ponds and diversion ditches. In the late 1980s, he began selling locally sourced bluestone and fieldstone, in addition to top soil, stone dust, mulch, slate and granite cobbles. He also created custom-made stone tables, benches, trees, bird baths and other stone items, doing business as H.J. Berry & Daughters Stone Company, later H.J. Berry Stone Company LLC. Harold will be greatly missed, especially in Westville where he could always be counted on to help his neighbors. Never needing to be asked, Harold just showed up when he saw a need. Harold is survived by his wife, Connie K. Berry of Westville; daughters Dawn Bruns (Chris Bruns) of Haleiwa, Hawaii, and Tammy Henn (Jeffery Carter) of Niagara Falls, and granddaughters, Kaitlyn Fern and Isabella Sage. In addition to his parents, he was predeceased by his brother, William. Family and friends may call from 4-7 p.m. Friday, September 21, 2018, at the Connell, Dow & Deysenroth Funeral Home, 82 Chestnut Street, Cooperstown. In lieu of flowers, the family encourages you to plant a little “stone garden”, as a way to honor Harold and beautify the world.